We Specialize in Custom Mobile Coffee Shop Website Design. If you own and operate a coffee shop, coffee stand, or coffee chain, and want to publicize your locations or showcase your out-of-this-world coffee, we can help. » Coffee is a high end food product and there are hundreds of coffee companies out there vying for a share of this highly competitive market. Whether it's to promote your products, brand, or location, we can help you stand apart from the rest and get noticed. If you have one or more coffee shops or stands, you want to help people who live or work nearby find you when they use their smart phones or go online. Our customized regional search engine optimization (SEO) will help ensure that your coffee stand or coffee shop is easily found by folks in your area. If you want to sell your unique brand of coffee online, we can help create a Pay Pal store just for that. 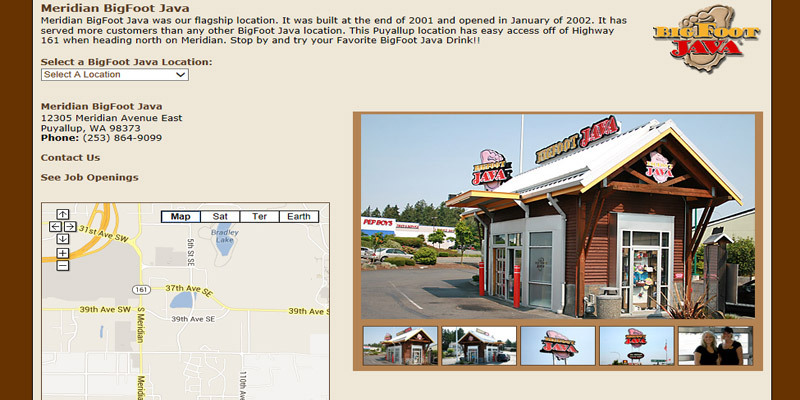 Or perhaps you want to offer print-out coupons, employee application forms, photos of happy customers, or a link to your Facebook or Twitter websites. We can help with that, too. with all that. 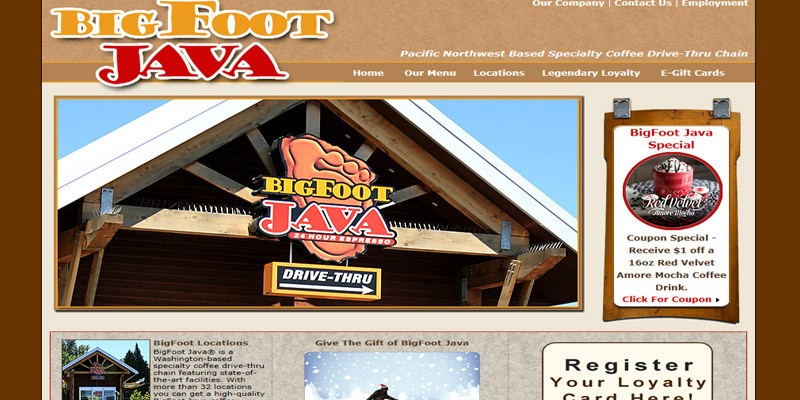 "All Seattle Web Design did a great job for us in designing the website for one of our business units - BigFoot Java Drive Thru Coffee Stand Company. They took the time to understand our business, gave us guidance on how we should setup the website and gave us a website that we loved." – People in your area search online daily for a local coffee shop where they can grab some coffee and meet a friend, or find a convenient drive-thru coffee stand on the way to work. A website that is appealing, easy to find online, and has clear location information and directions can help bring new customers to your store. – Tempt customers with the exotic and flavorful coffee drinks you offer, give them some nutritional information, let them know about sizes, prices, orders-to-go, and more with an online menu. Tell your customers about value-add services like Wi-Fi, local art showings, music, or coffee tasting events. These are great ways to stand out from the rest in the crowd. – Maximize your marketing budget. A website with good search engine optimization (SEO) can be the most cost effective way of generating leads for your coffee shop, coffee stand, or online coffee store. With every website we design, the number one priority is SEO. We can help set up your free Google account, and our search engine marketing expertise can help make sure that your coffee shop's website ranks well on Google and other search engines so you can reach the local customers you're targeting. – Email newsletters are easy to add and can be a huge help with your marketing. Brief email updates, reminders of special events or promotions, new coffee drinks, and other messages help you stay in touch with your customer base and bring in repeat foot traffic to your coffee stand. 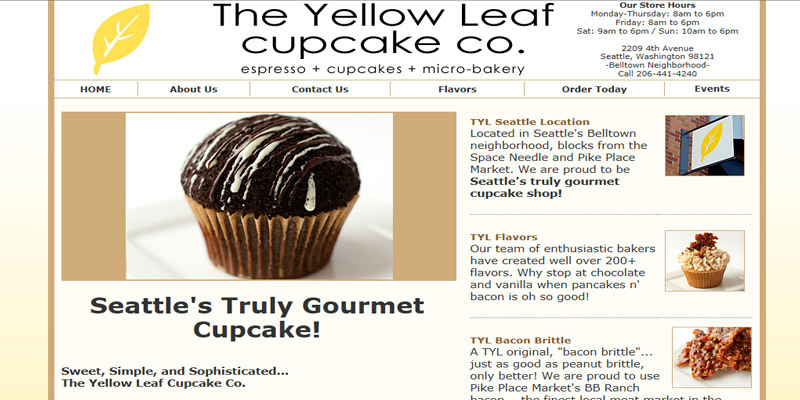 – We have helped a number of Seattle area coffee shop owners extend their local branding power by creating an exciting and informative website that showcases their coffee shop, coffee stand, or online coffee store. 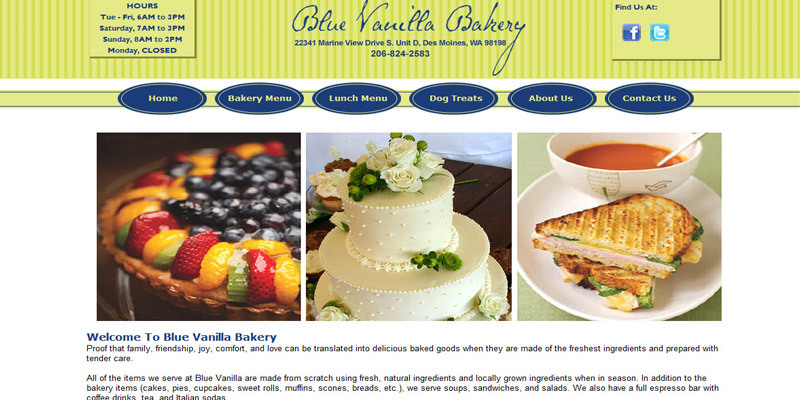 Take a look at some samples of our coffee shop website designs below.